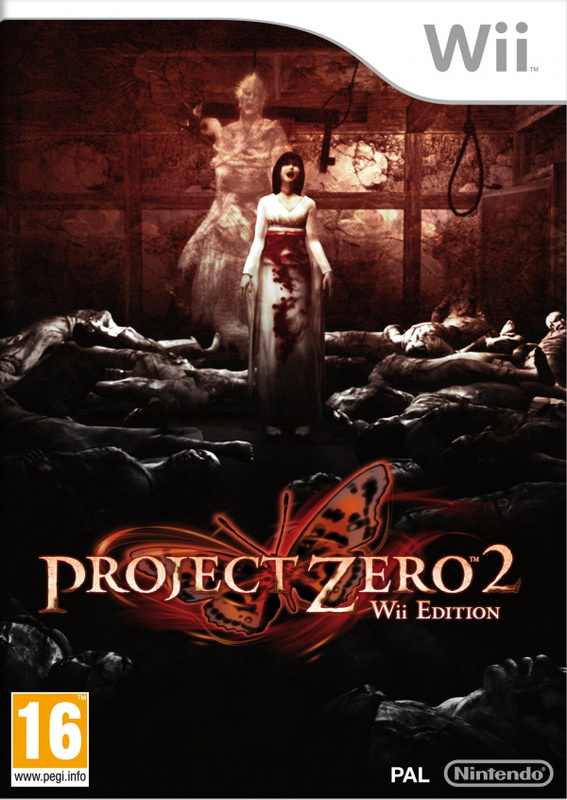 If you're more than a little wary when it comes to bumps in the night, it might be best to stay away from Project Zero 2: Wii Edition. 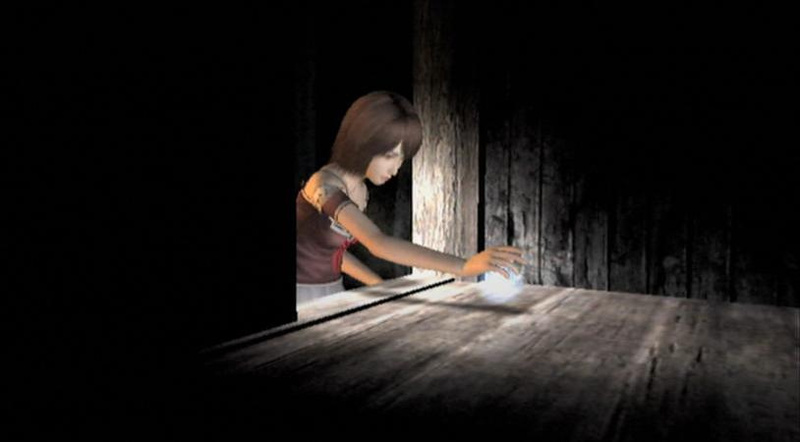 Tecmo Koei's ghastly survival horror series, also known as Fatal Frame, throws you within the clutches of dozens of malicious apparitions with only a camera for protection. A proton pack it ain't. The superstitious say that a camera snatches away a part of the soul with every snap; the Camera Obscura takes that philosophy and runs with it, eviscerating malevolent ghouls with a few clicks. It's an essential tool to protagonist Mio, as she and her twin sister Mayu scrabble to escape from a mysterious Japanese village that's rankly over-populated by scorned spectres, desperate for the twins to take part in a nasty ritual to close a hellish portal. The girls are naturally slightly perturbed by all this – and Mayu really doesn't help matters by scarpering off and getting herself into situations that the average person would label 'troubling'. 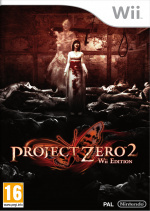 Project Zero 2 was originally released on PlayStation 2 and Xbox a good few years ago. This Wii remake gives it the Resident Evil 4 treatment: it's all about over-the-shoulder third person cameras now, as opposed to the fixed camera angles found in the original. It's a change both positive and negative: you can investigate the surroundings more easily and without sharp camera cuts, but Mio ends up blocking a good chunk of the screen as she traipses around the haunted grounds, which sometimes obscures something important – like an enemy. The control scheme has been altered to take advantage of Wii, though it's a bit unwieldy. The Nunchuk's analogue stick turns you left and right, while the vertical viewpoint is moved with Wii Remote motions; it would've made more sense to map turning onto the Remote as well, leaving the the stick free to strafe without the need to hold down the C button simultaneously. In turn 180 degree spins could've been shifted onto a button, rather than a quick flick of Nunchuk or Remote. There aren't any guns or other traditional weaponry here: if you get a fright, whip out your camera and take a photo. You lift the Camera Obscura by holding B, which switches you into a first person perspective as if peering through a viewfinder. You've got to centre whatever horrid thing is coming towards you and hit A to give them a dose of exposure, repeating the process until they're dead and buried once again. Aiming is a little clunky but auto-focus, close friend of amateur photographers everywhere, helps to lock onto enemies for easy snapshots. Battles are about patience: bravely holding your gaze on a ghost builds up a more intense attack. If you've got the nerve you can unleash a Fatal Frame attack for maximum damage by waiting until just before they strike, signalled by the rim of your lens flashing red and the blare of an alarm. Different lenses can be equipped on the camera to add unique powers, such as the ability to send ghosts reeling back temporarily, and both lenses and camera body can be upgraded with points earned from happy snappery. Combat holds most of the scares. Phantom foes disappear and reappear as you fight, surge out of walls and generally try to catch you unawares. They've also got an eerie tendency to turn up in enclosed spaces, mashing claustrophobia into the mix for extra stress, and the Camera Obscura's viewfinder only occupies the centre of the screen, cutting off your peripheral vision so that ghosts can sneak in out of nowhere. In some battles you spend as much time with the camera lowered, so that you can run to the other side of the room and put distance between yourself and the ghouls, as you do taking pictures – moving around while in Obscura view is too slow for escape. 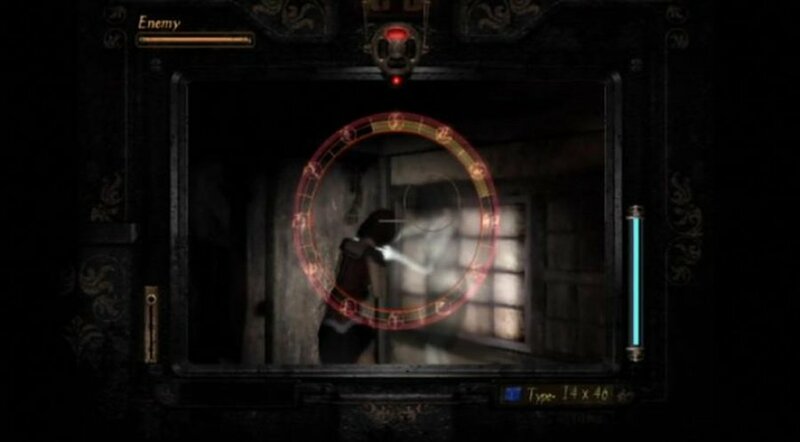 The only help at hand is the ghost meter, which sits at the top of the screen and points out the vague direction of nearby ectoplasmic beasts. Few games create atmosphere quite so well as Project Zero 2; that it looks and sounds superb is a great help. The lighting, diffusing from candles, lanterns and your torch, and huge range of sound effects are stand outs. Doors creak, windows rattle, floorboards wince. Even usually innocent drapes seem to hang menacingly, hiding the path before you. Mio's movements are slow when picking up items or investigating an area, leaving her open to ghost hands slipping in to grab her at random. Hang too long on a screen after you've picked up an item and haunting faces start to flicker in amid static. There's a constant feeling that something might happen, yet it takes its time and, more often than not, avoids obvious scares. That isn't always a good thing. Project Zero 2 is creepy and does a fantastic job of building up a disquieting atmosphere, but it doesn't always follow through in a wholly satisfying fashion. The mood increases until it gets to a point when the tension could be cut with a knife, only for it to be demolished with all the subtlety of a warhammer thanks to a cut scene. These non-interactive scenes can completely spoil the effect: they immediately showcase that something is going to happen and place you in a temporary shell where you can't be harmed, which gives you ample opportunity to acclimatise yourself to the situation, lessening the fear factor dramatically. An early example is found on a rickety bridge across a huge body of water. You know something is going to happen, but not when. Suddenly a cut scene flicks in and a new ghost makes its grand entrance, thrusting itself right into Mio's face. Or a movie pops in as you're walking down a hall to show you something running around nearby. In both of these instances, and several more, the shock would be much greater if the ghosts and shadows just burst out at you in real time without breaking out of standard play. There are definitely chilling bits that shock and do just that – including a particularly horrific moment reminiscent of a scene from supreme Japanese horror film Ring – but more than anything it leaves you panicked, tense and cautious while rarely offering opportunities to let it all out. New to the Wii edition is the first-person on-rails Haunted House mode. You hold A to walk forward as the course attempts to shock you, judging how afraid you become by measuring movement of the Wii Remote and keeping track of how often you look around with the analogue stick. It's not especially frightening, but it's clever in the way it analyses your performances and uses the data to craft future attempts, sticking in more of the elements that had you most nervous. 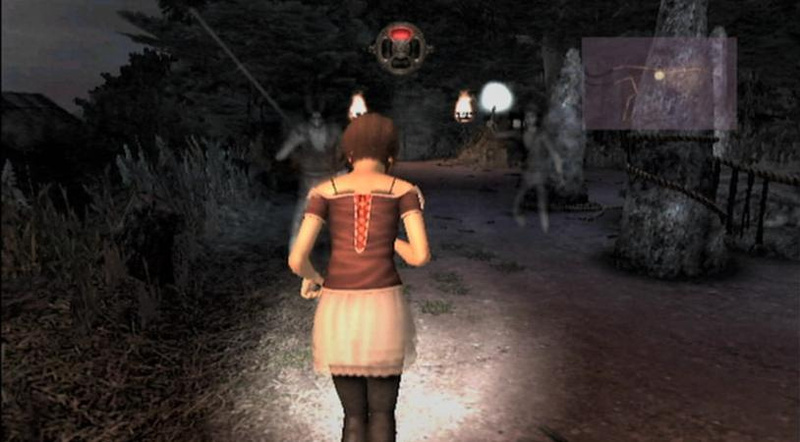 There are also alternate modes where you have to grab dolls hidden around the course while being pursued by a ghost and one where you get to bring your camera in to beat away the baddies. 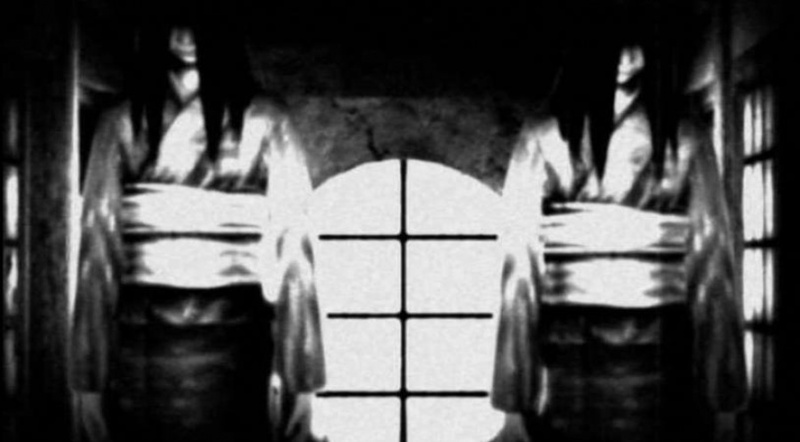 It's an interesting diversion, but first-person horror has been handled better in the likes of Ju-On: The Grudge. There aren't many games that have you anxious to slide aside a curtain; Project Zero 2: Wii Edition does. It's a fine example of a survival horror game despite some awkward controls and an over-reliance on cut scenes that occasionally break the moment. Even with these problems the tension remains consistently high thanks to its bleak, intriguing plot, an atmosphere that is second to none and excellent presentation. Watch out here comes Chocobo! So is there any need for me to have played the first game to understand this? I've had the game for a week but haven't started it yet. Waiting for the right time to give it a shot, looking forward to it. The game just literally came in the post,I'll be bustn some Ghost tonight. @MadAussieBloke 7's a good score. @Big_Gamer Nope, not at all. Hopefully, but not likely if it hasn't been announced yet. This and Pandora's Tower are both big question marks in the Wii's final meaningful year. With Wii U on the way this Fall, NoA has done a great job of making core gamers feel confident that games they want will be on the system. Keep up the good work, guys! 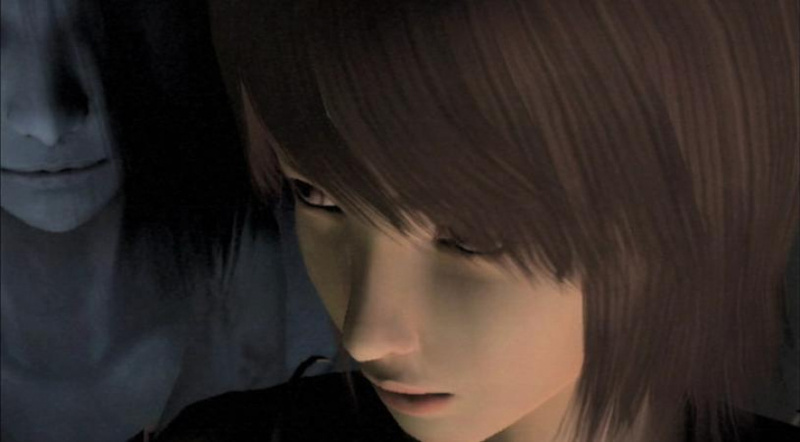 I've been wanting Fatal Frame 2 & 4 to come to NA forever. Make it so Reggie! @TheDarkness Same here man!!! graphically both look very good and gameplay as well. I haven't looked too hard because I don't want to spoil the plot for myself, but if they have done so, that's a pretty big downside, because the haunted mansion mode is downright boring. @Linkstrikesback There's a Mario and Luigi costume to unlock. @Linkstrikesback I haven't heard anything of a mission mode so they may have removed that but they've added new endings. I haven't got the game yet so I'm not completely sure on the mission mode being removed or not. Bought this during the week & had a quick go. Its creepy as! I was packing myself the whole time! Freaking love it! I know how you feel! I haven't bought a Wii game in a while. If this had scored an 8..then maybe but not so sure now! Really can't wait until this release swims across the giant pond! Why wouldn't they use the incredibly smooth control style of Silent Hill: Shattered Memories? Using the flashlight in that game was pure joy. Anyhow, I need this one, NoA. Bring this to NA, please!!!!!! I will buy 100 copies and then make all of my friends buy 100 each as well. Now make it happen. I bought this one when it was released, I just started playing very recently. I think it's great, wish they fixed PZ4 and brought it to Wii or Wii U. This is without question one of my favourite Wii titles. In fact, I got a Wii U based purely on thinking just how much more scary the experience will be having to use the controller as a camera. Can't wait! Just downloaded it on Wii U and played for an hour so far.